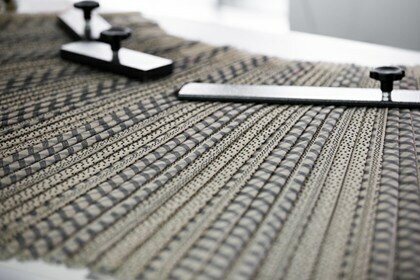 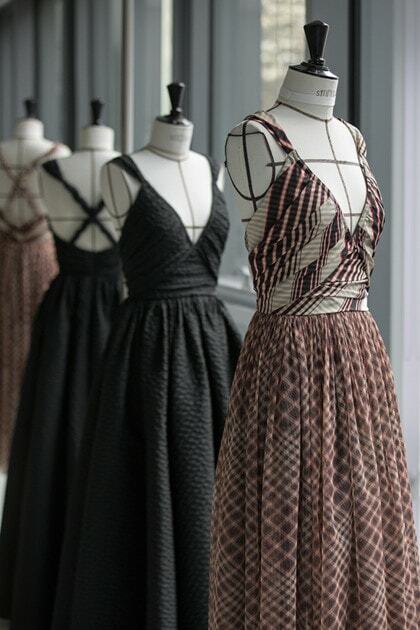 Each new collection is an alchemy borne of the confrontation between images, bodies, silhouettes and language. 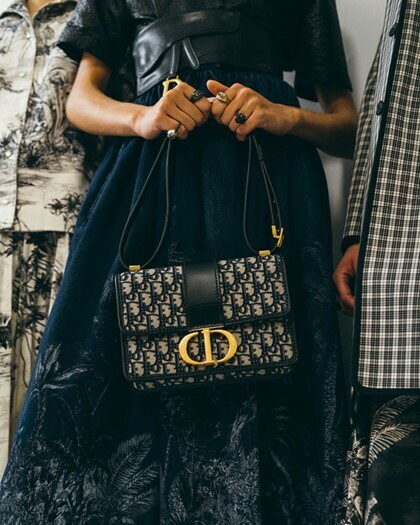 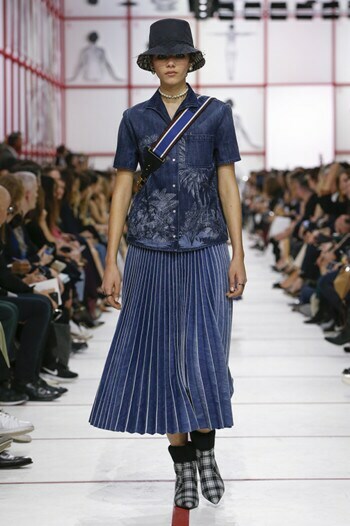 For Maria Grazia Chiuri, this creative mechanism is no longer about breaking with the past; rather, it’s a gateway to rediscovering and celebrating the richness of House codes. 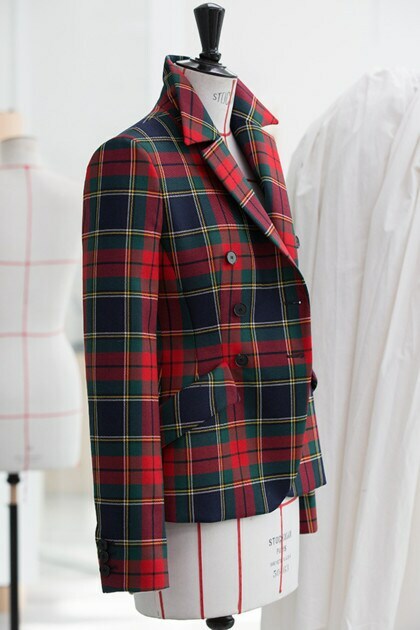 For this ready-to-wear collection, the Artistic/Creative Director turned her attention to Teddy Girls, the female counterpoint to Teddy Boys – one of the first British subcultures – as a way of revisiting the 1950s, a post-war period marked by Christian Dior’s New Look that Maria Grazia Chiuri has seldom explored before. 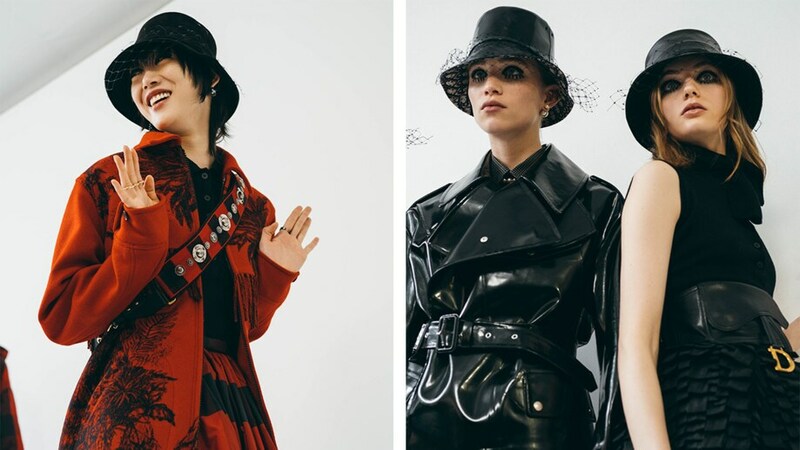 The queens of a ravaged landscape, Teddy Girls were impertinent characters with wild quiffs who wore Edwardian-style men’s jackets with velvet scarves, ample skirts, jeans and black leather jackets. 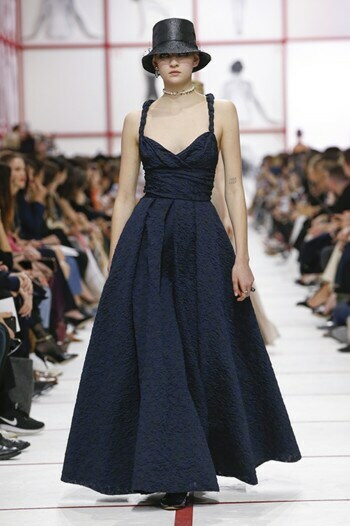 These references offer a new perspective on the 1950s, which Maria Grazia Chiuri chose to associate with the character of Princess Margaret. 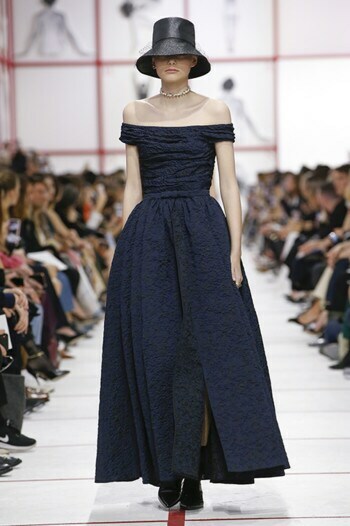 Ever the rebel, the young princess in 1951 elected to wear a dress by Dior – rather than one by a British dressmaker – for her official 21st birthday portrait photographed by Cecil Beaton. 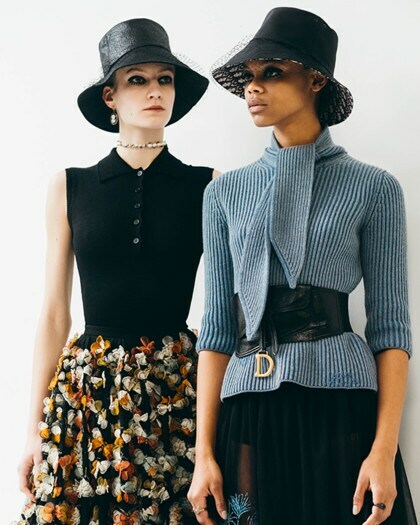 Fascinated by the mix of classicism and subversion, elegance and rebellion inherent in English culture, Christian Dior drew from it many sources of inspiration, as illustrated by the exhibition Christian Dior: Designer of Dreams, now at the Victoria & Albert Museum in London. 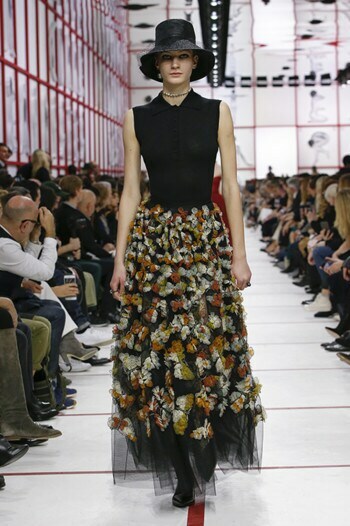 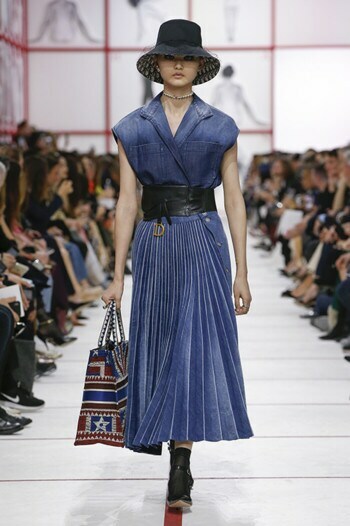 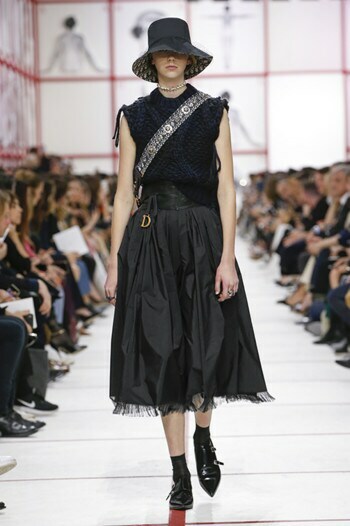 One by one, Maria Grazia Chiuri reclaims Dior codes, drawing in turn from its lexicon to create and reinvent the designs of tomorrow. 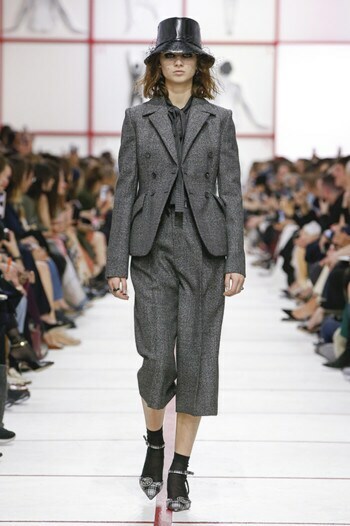 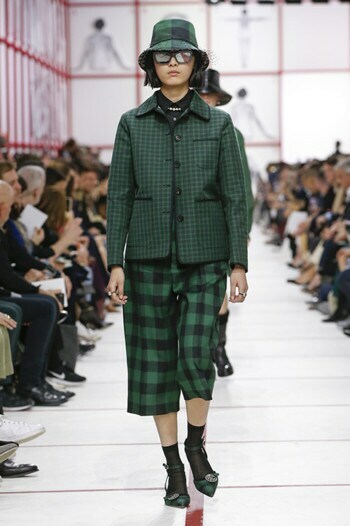 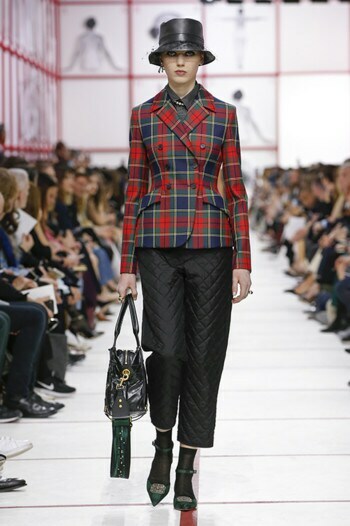 Thus, the Bar suit is revisited along a more masculine line, through cut, fabric and a velvet collar. 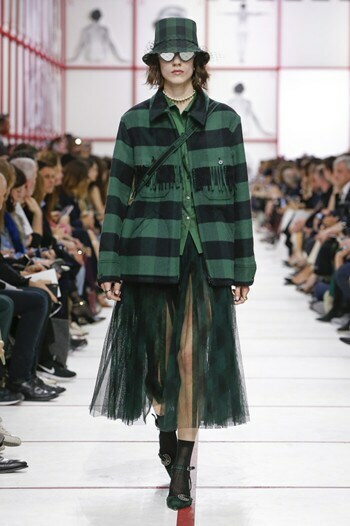 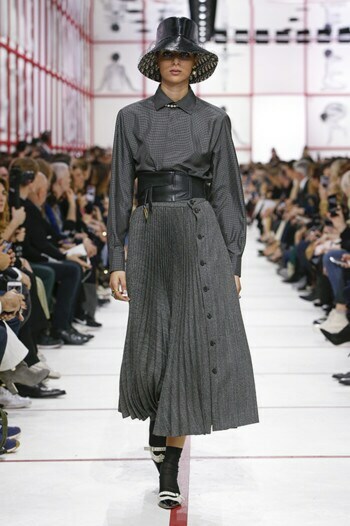 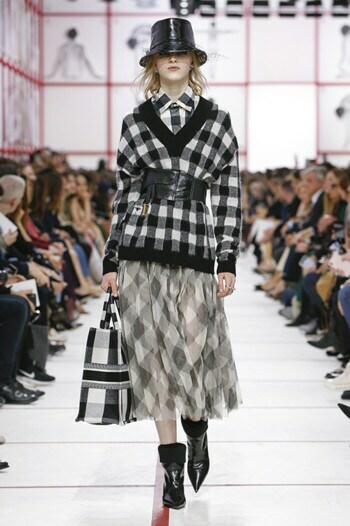 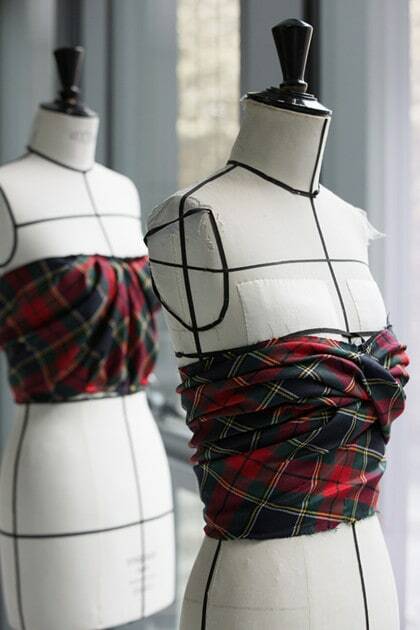 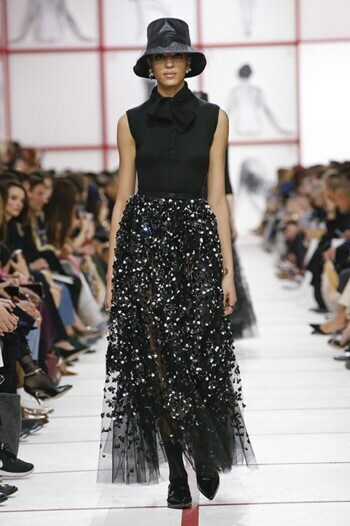 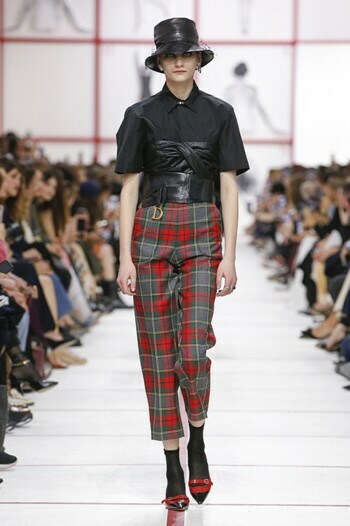 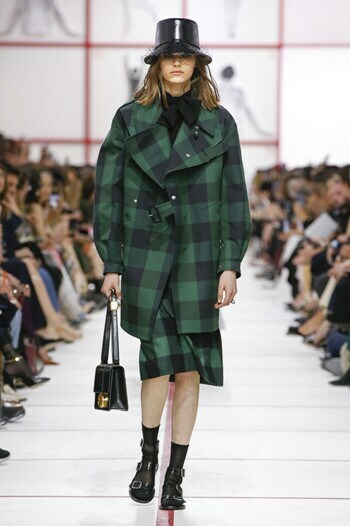 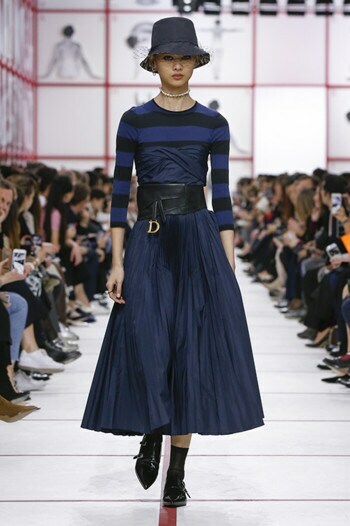 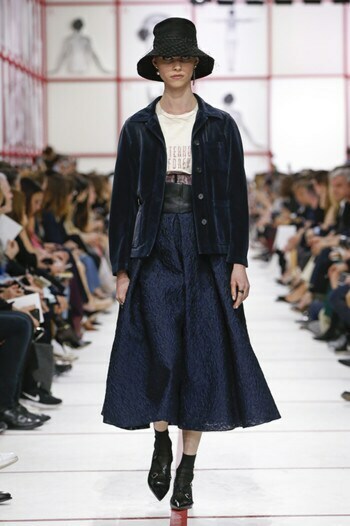 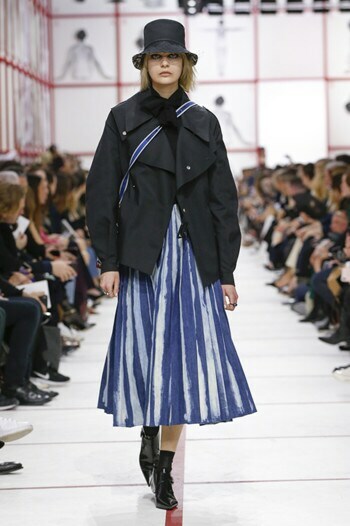 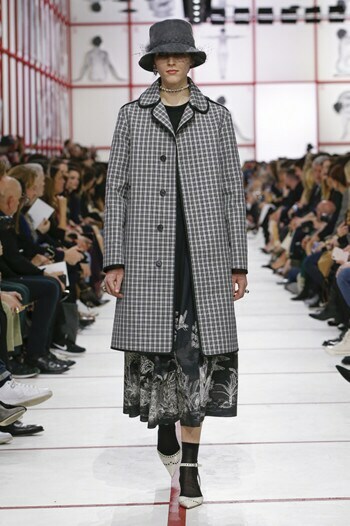 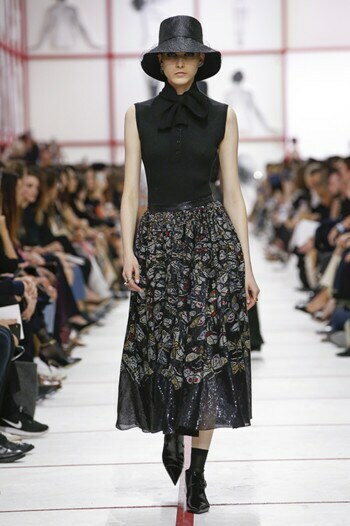 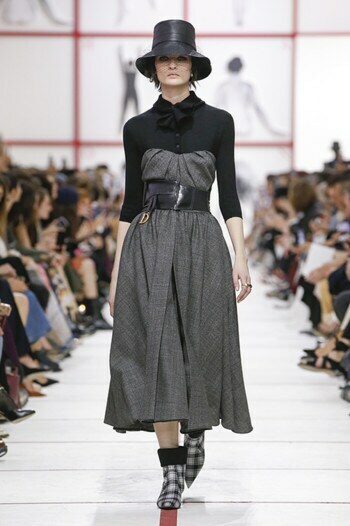 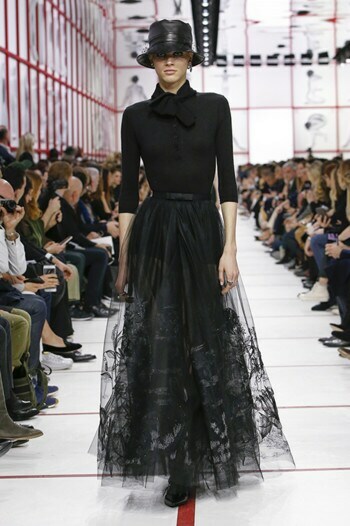 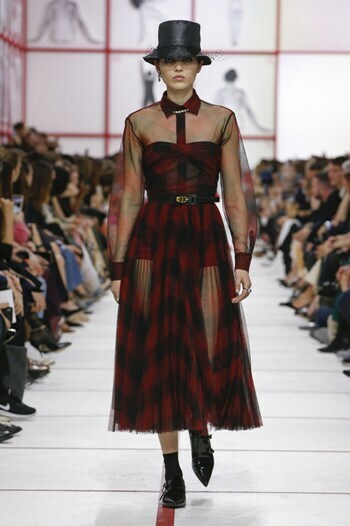 It converses with gathered skirts made suppler through the use of technical fabrics that are also worked into dresses inspired by Christian Dior’s nipped-waist silhouettes. 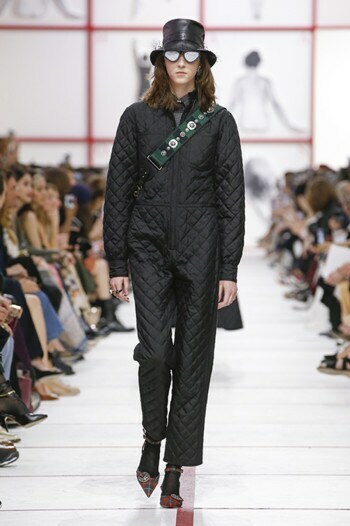 A conceptual and stylistic reinterpretation of the Fifties infused with the spirit of “sportswear”, mixed with the House’s signature elegance. 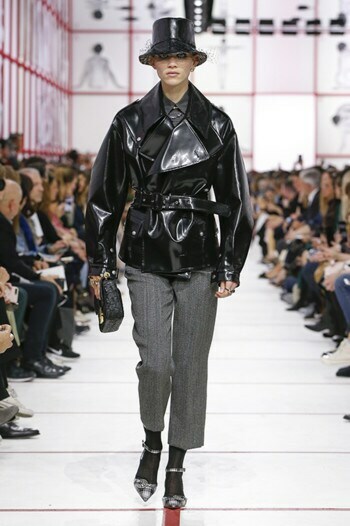 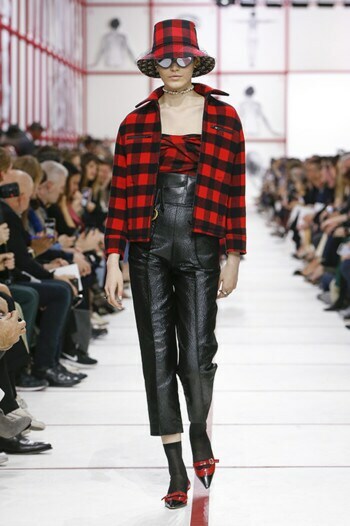 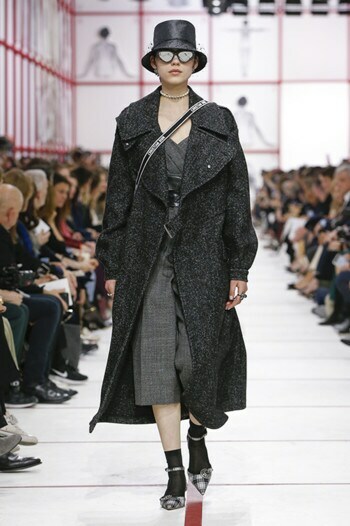 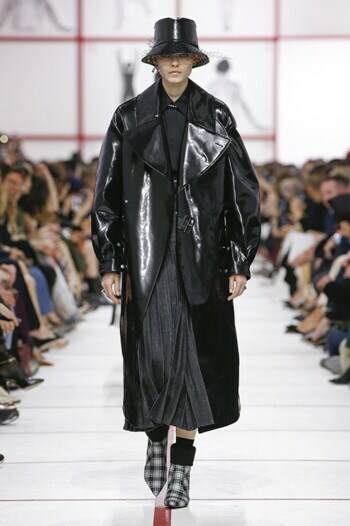 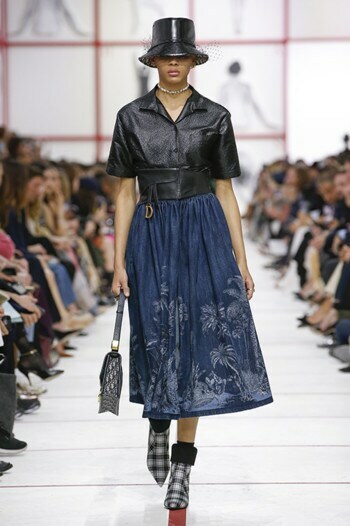 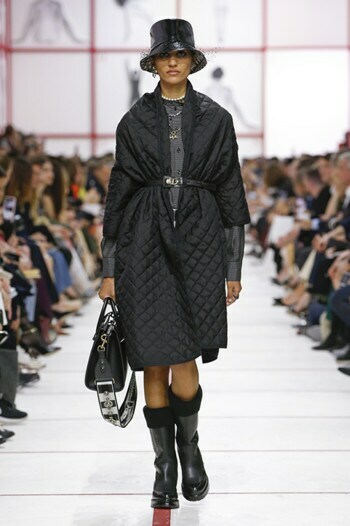 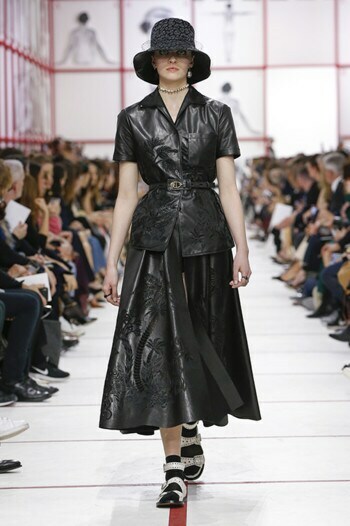 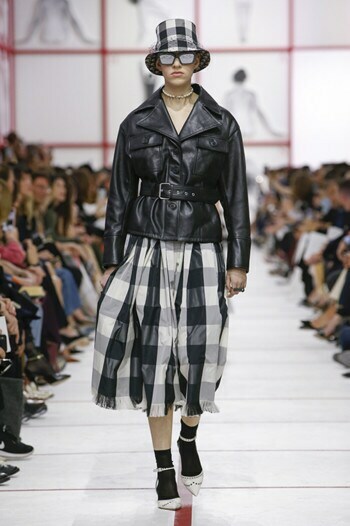 The first in a series of historically referenced themes, the black leather jacket by Yves Saint Laurent for Dior – an homage to the underground culture of the 1950s and 1960s, and particularly to the French “blousons noirs” – is here revisited by Maria Grazia Chiuri. 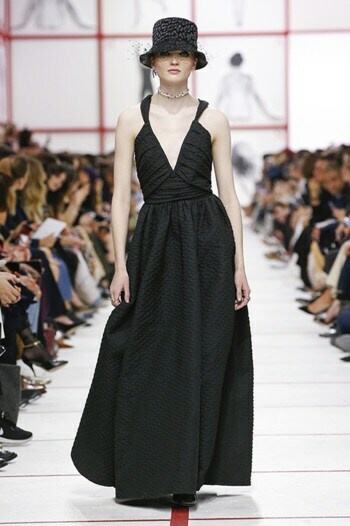 Through the modernity of its materials and techniques, the iconic silhouette of the Miss Dior dress – which Christian Dior designed for the Spring-Summer 1949 haute couture collection – expresses the mix of strength and grace the Artistic Director favors. 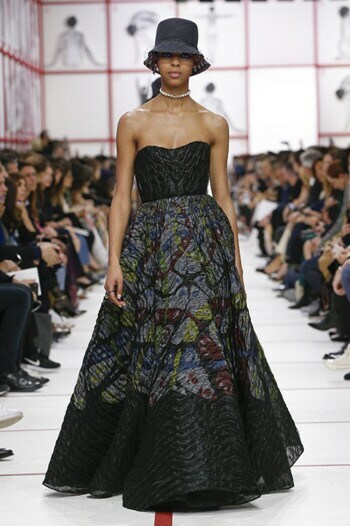 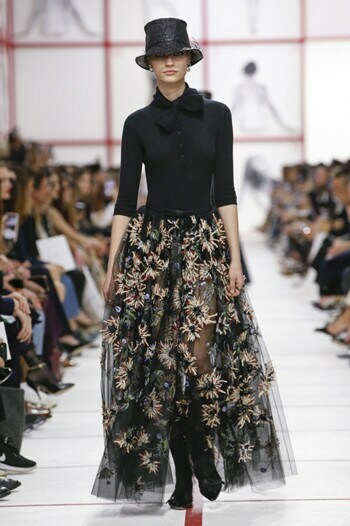 This inspiration also informs evening dresses composed of bodysuits and skirts that may be embroidered with transparent paillettes or embellished with flowers in relief. 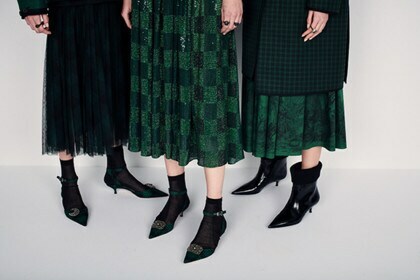 Low-heeled shoes are tapered and cut low in front. 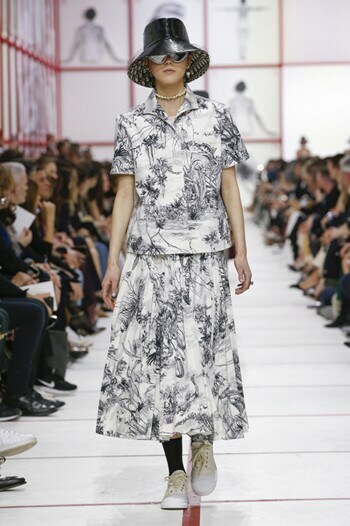 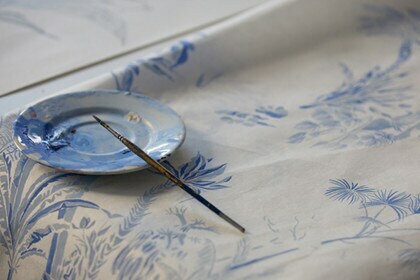 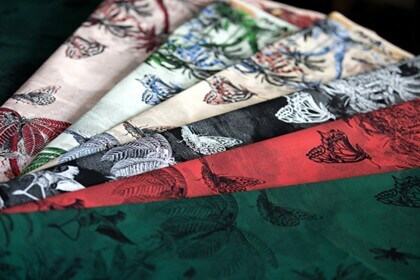 A new palm tree version of Toile de Jouy recalls the work of the artist Mario Schifano, and appears on a series of shirts or combines with checks and gingham, in black and red or black and white. 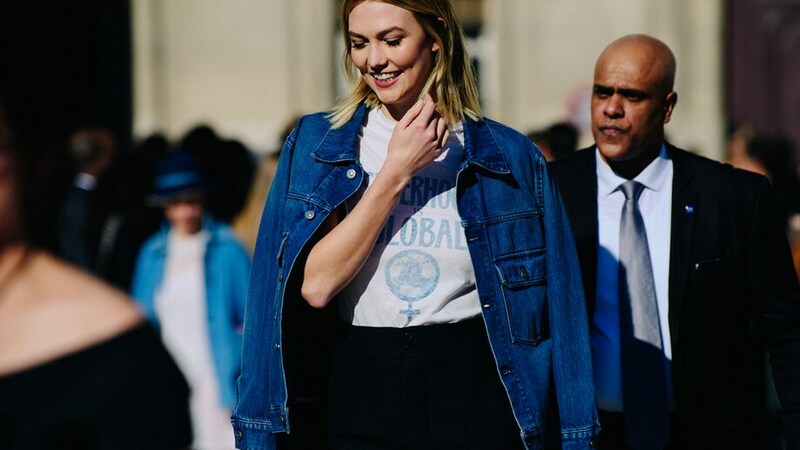 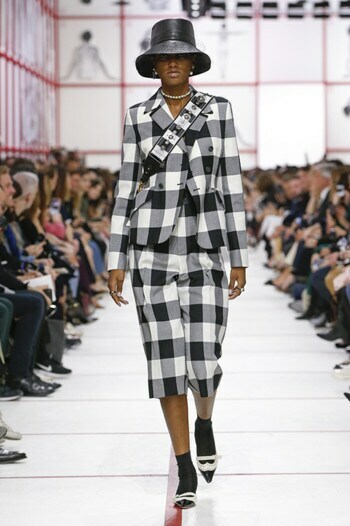 “Subcultures” confirm – through the style sense they appropriate – that the simple fact of choosing one’s clothes becomes a political semaphore. 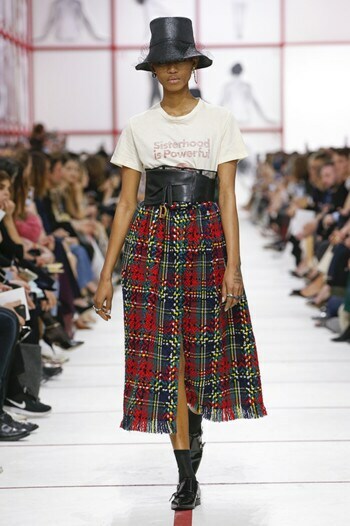 Silkscreened t-shirts pay homage to the literary works of Robin Morgan, the American feminist poet, with elements from Sisterhood is Powerful (1970), Sisterhood is Global (1984) and Sisterhood is Forever (2003), which celebrate the concept of sorority. 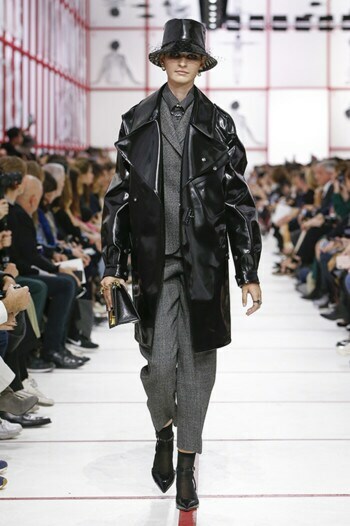 The show’s scenography relies on ABCs – with each letter representing a different woman – created by the Italian artist Tomaso Binga, a woman who chose a masculine pseudonym as a way of parodying the privileges reserved to men alone. 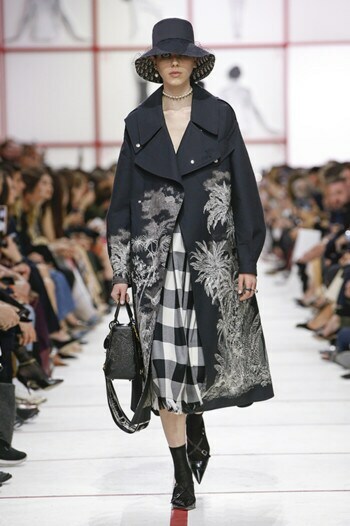 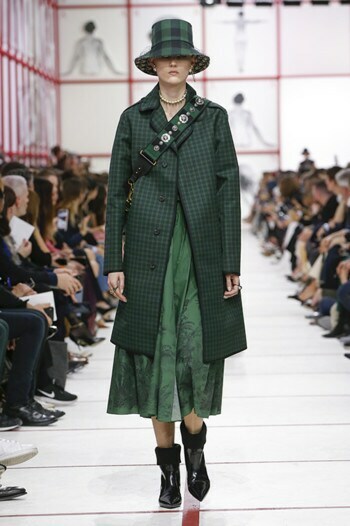 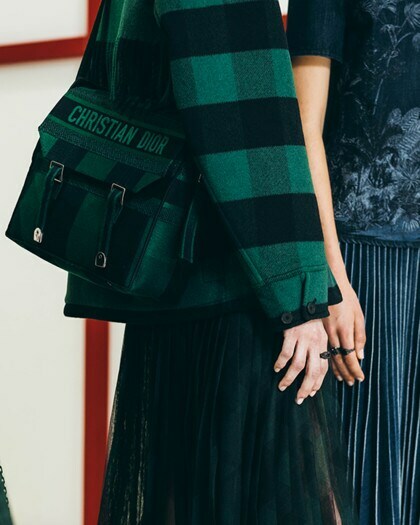 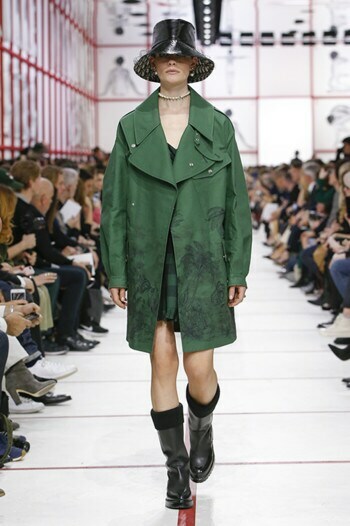 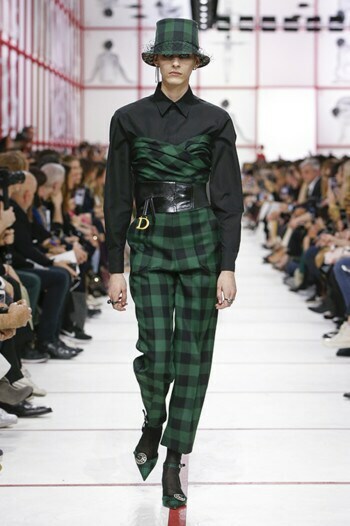 In so doing, the pieces in the collection reconnect with an idea of femininity that transcends gender and anatomy, and further the exploration of identity that Maria Grazia Chiuri champions in her reinterpretation of Dior’s history. 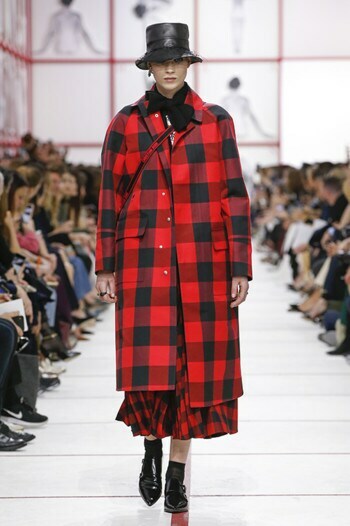 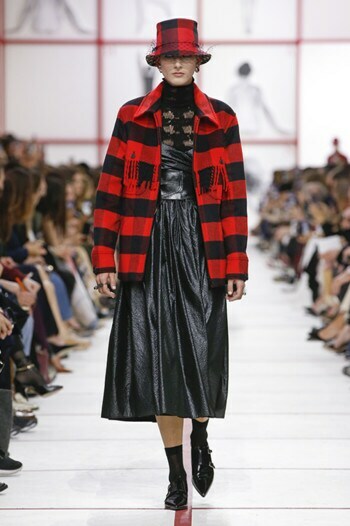 Tomaso Binga, the feminist-activist who chose a masculine pseudonym to protest male cultural privilege, reveals the secrets behind her collaboration with Maria Grazia Chiuri for the Fall-Winter 2019 ready-to-wear show. 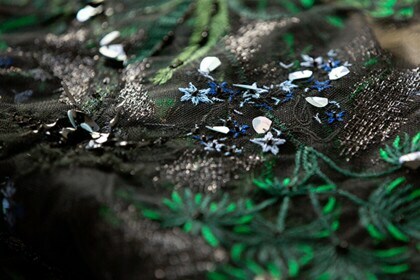 It featured an explosion of vibrant words, splayed over the walls and spoken by the Italian artist herself as an opening for the show. 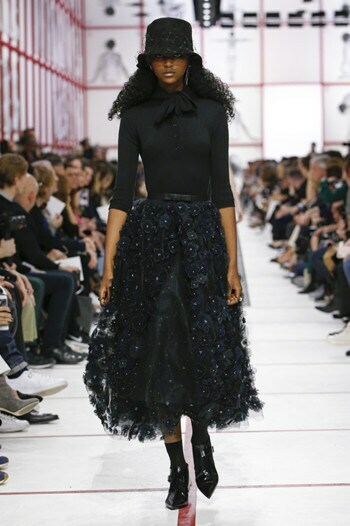 The Dior fall-winter 2019-2020 ready-to-wear show took place in the heart of the gardens at the Rodin Museum. 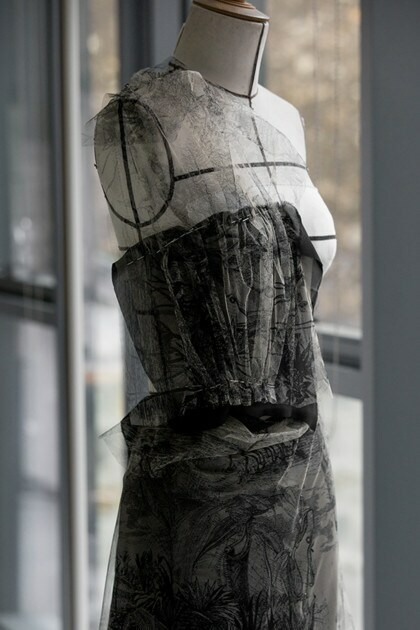 Discover its scenography, a poetic transfiguration of the language and expression of women's empowerment. 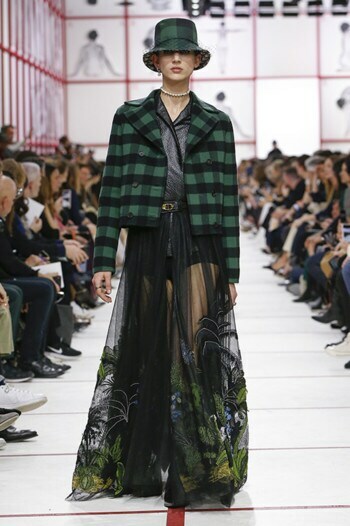 Enter the intimate world of the Autumn-Winter 2019-2020 ready-to-wear collection show, designed and crafted by Maria Grazia Chiuri. 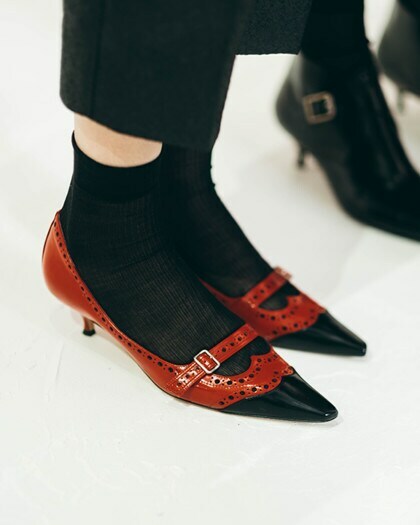 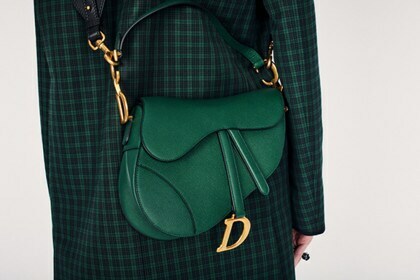 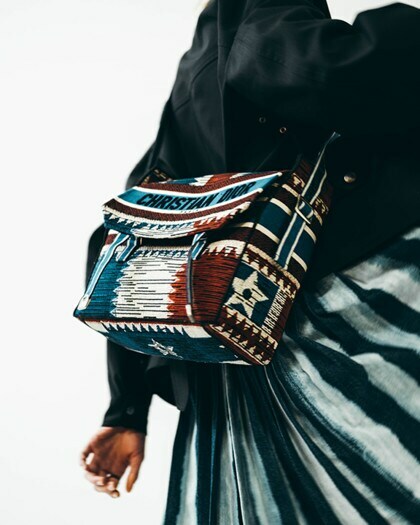 The key accessories from the Autumn-Winter 2019-2020 collection in pictures. 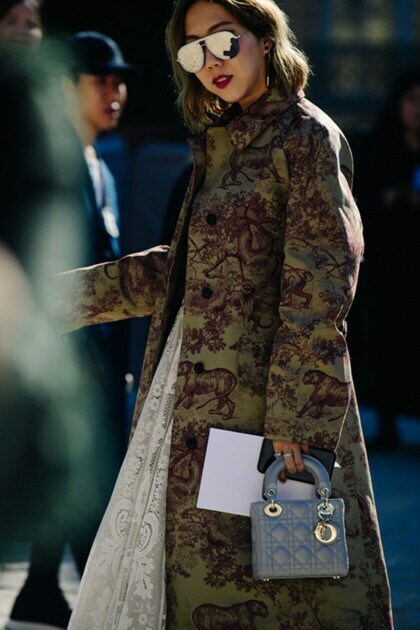 A street style snapshot of what the guests were wearing at the Autumn-Winter 2019-2020 show by Maria Grazia Chiuri. 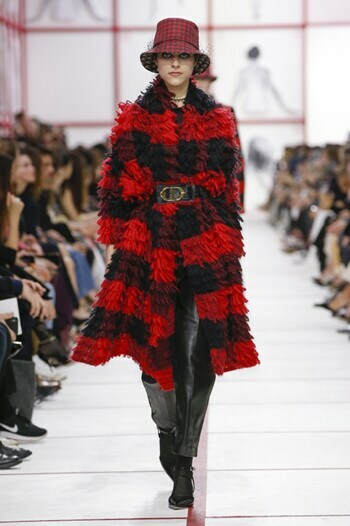 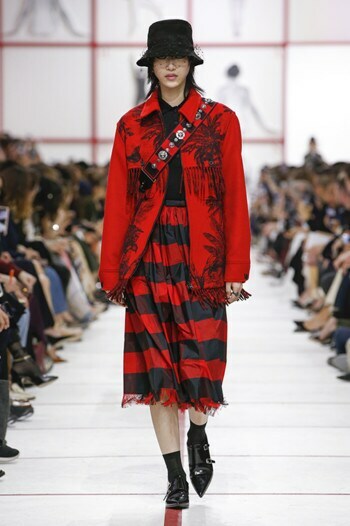 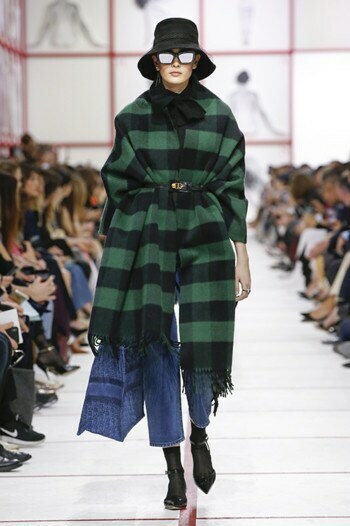 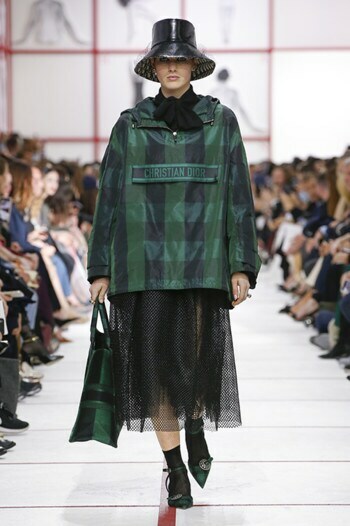 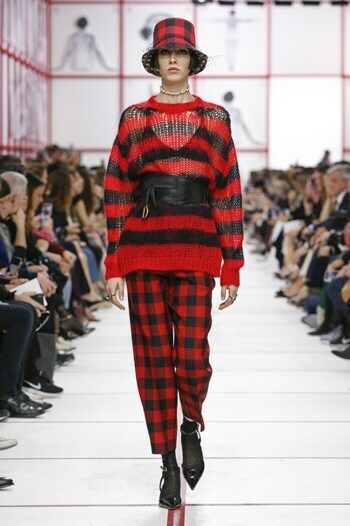 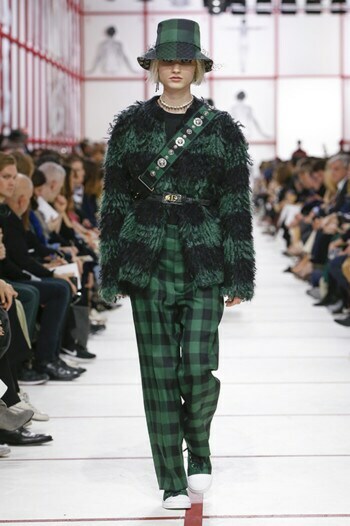 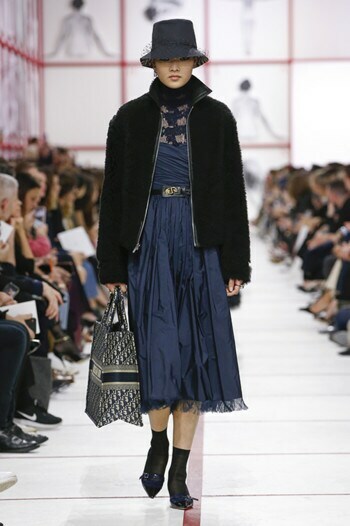 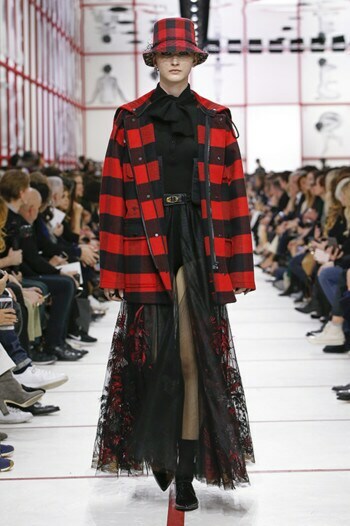 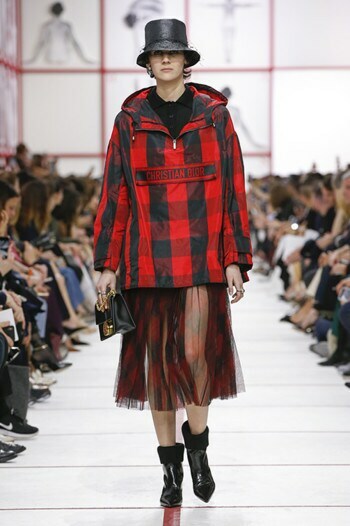 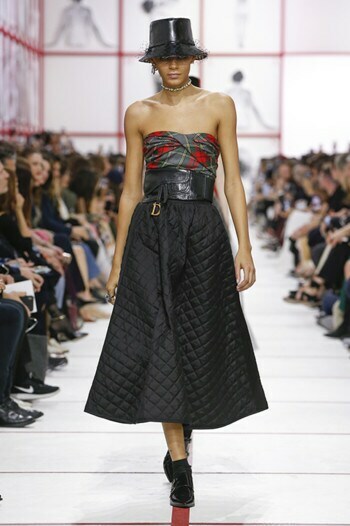 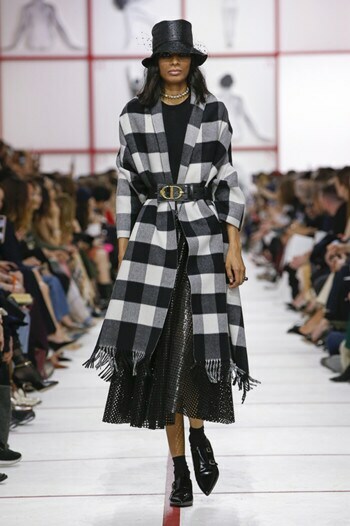 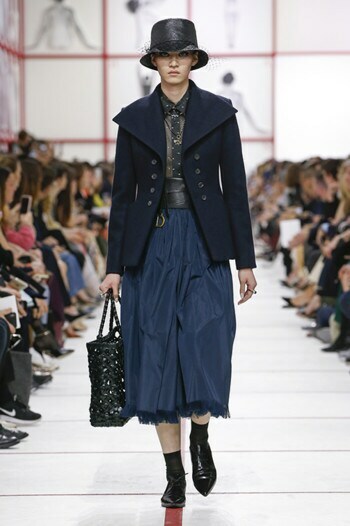 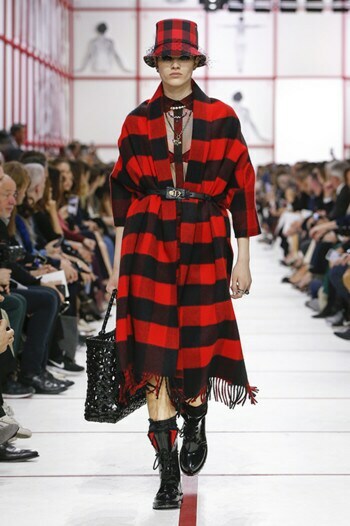 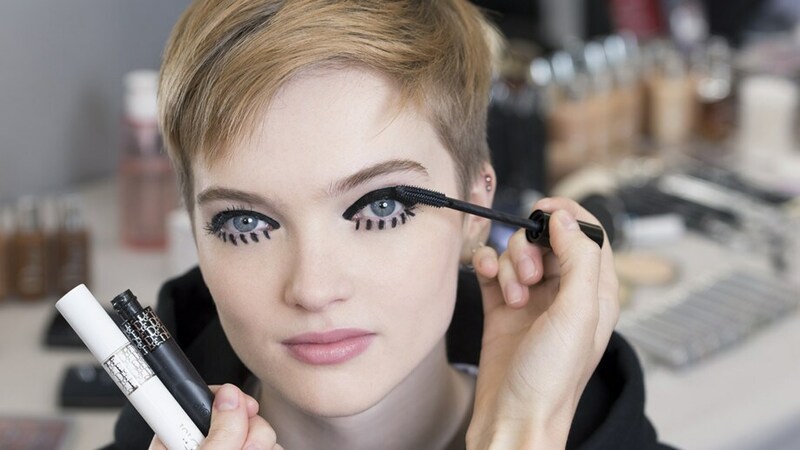 For the Autumn-Winter 2019-2020 ready-to-wear show, Peter Philips, Creative and Image Director for Christian Dior Makeup, drew inspiration from the feisty British attitude of Maria Grazia Chiuri's collection. 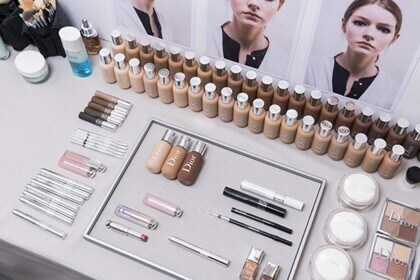 From the show’s backstage, Peter Philips, Creative and Image Director for Christian Dior Makeup, shares his beauty look and inspirations for the Autumn-Winter 2019-2020 ready-to-wear collection. 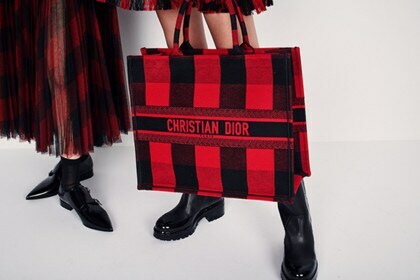 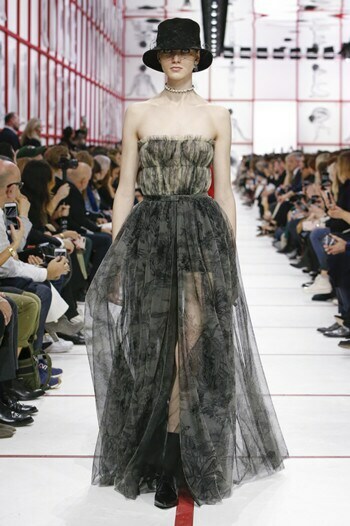 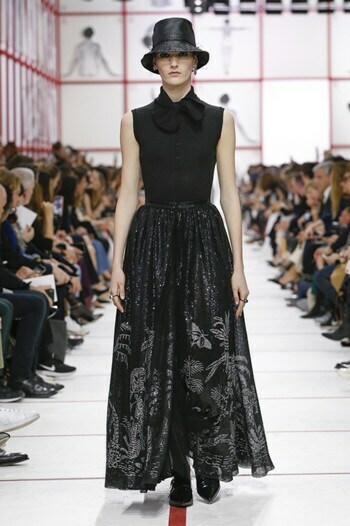 The savoir-faire of Dior expressed through pieces from the Autumn-Winter 2019-2020 collection.